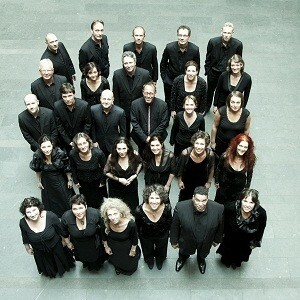 Cappella Amsterdam (the Netherlands) is a professional chamber choir, founded in 1970. Over the past years the ensemble, under the direction of Daniel Reuss, has taken a prominent position in the fields of both early music and the modern and contemporary repertoire. The group aims to involve a wide audience in choral music, in particular works by old and new composers from the Netherlands, and has initiated projects around the work of Dutch masters such as Jan Pieterszoon Sweelinck and Orlando di Lasso. Cappella Amsterdam often participates in opera-productions, such as Thyeste of Jan van Vlijmen, premiered at La Monnaie in Brussels; Rameau’s Les Indes Galantes (co-operation with the Orchestra of the Eighteen Century and Frans Brüggen), Jan van de Putte’s Wet Snow in the Holland Festival 2004 and Tan Dun’s Marco Polo (co-operation with the Holland Festival and the Dutch National Opera).